Blog » Camping » Tips & Tricks » Sleep » 3 Season Vs 4 Season Tent: What Things Do You Need To Know? One of the most important pieces of kit any camper will bring with them is a tent. A lot of considerations go into deciding what type or style is best-suited to the backpacking or tripping you plan on doing, with a lot of moving parts. Some questions you need to consider are those that cover what time of year you plan on camping, as well as the conditions you will likely encounter. If you hope to maximize your comfort, then temperature and expected precipitation are two of the most important factors to think about when choosing a tent that fits your camping style. 3-Season Vs 4-Season Tents: What Tent Is Right For You? When Should You Choose A 3-Season Tent? Is A 4-Season Tent Tailored To Your Needs? 3-Season Vs 4-Season Tent: What Tent Is Right For You? This question boils right down to the time of year you plan on camping and the conditions involved. We aim to help you make your decision easier by breaking it down for you. For most recreational hikers and backpackers, a 3-Season tent is probably going to suit you just fine most of the time. A 3-Season tent is best suited for trips that occur anywhere from spring to fall, assuming a temperate climate. They usually feature mesh flaps for better airflow and are lightweight enough that they won’t be overly taxing while carrying them around in your pack. Some camping trips, however, require something a little more rugged to see you through without being overly uncomfortable. A 4-Season tent is one that has a little more support, as well as a more insulated approach in mind. 4-Season tents usually have a little more head room and extra support around exterior walls, making some quite spacious. Many seasoned expeditionists and thrill seekers will take one of these into more difficult terrain, especially in the winter months. They have more protection against colder temperatures and high winds found in more extreme locations, helping to keep you warm. They are also favored by those choosing to camp in the fall and winter months when conditions are less than ideal. 3-Season tents are used predominantly during warmer months and are geared towards a more varied camping style. They are lightweight and easy to set up, break down, and store for transport. When coupled with a fly sheet they also excel at keeping water at bay even in the most torrential downpours. Many feature mesh openings for airflow, with some including larger vents to inhibit moisture buildup throughout the day. They can be quite spacious, depending on the style you prefer, although many are dome-shaped to prevent water buildup, which can take away from headspace. The majority of campers will prefer 3-Season tents simply because they don’t actually need a more specialized 4-Season tent. The more simplistic nature of the 3-Season is its main selling factor, allowing any level of camper to use it without any hassle. Most of us tend to camp more frequently during the warmer months, making 3-Season tents an all-around favorite. 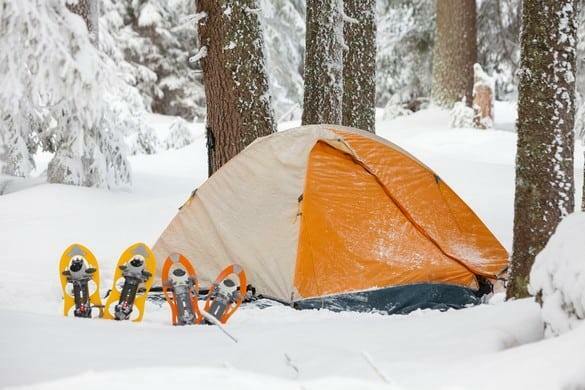 Even though a 4-Season tent can be used year-round, it is most useful when camping in cold climates. They are much bulkier and can weigh significantly more than their 3-Season counterparts. This is due to the fact that insulation is a more pressing concern. Mesh and vents don’t feature much, with the objective being to keep warmer air inside the tent as much as possible. They do, however, have more support poles, which are necessary when coping with the weight of snow and ice. This makes them far more difficult to set up, break down, and store, adding a lot more time to the process. This is especially true if you’re unfamiliar with their design or new to camping. 4 Season tents are dome-shaped, much like their 3-Season counterparts, although the abundance of support poles makes it much less pronounced. This, in turn, allows for more freedom of movement while inside the tent. With a lot more activities being done inside during the winter months, this can be an immense benefit. There is an alternative option to add a little compromise to the 3-Season tent vs 4-Season tent debate, and that is hybrid 3+ Season tents that aim to blend the best of both worlds into a versatile option that allows for a little more flexibility. They are build to be more sturdy and durable than traditional 3-Season tents, while also allowing for more options for comfort during the warmer months, such as sealable mesh windows. If you’re still torn between the two or plan on doing some basic camping in the winter, but not make a habit of it, a hybrid 3+ Season tent could be a solid choice for you. Half Dome 4 or MSR Papa Hubba NX may be a great pick up for you. At the end of the day, temperature and time of year will directly affect the tent you end up choosing. While 3-Season tents will work in a pinch during the colder months, they are by no means suited to do so. 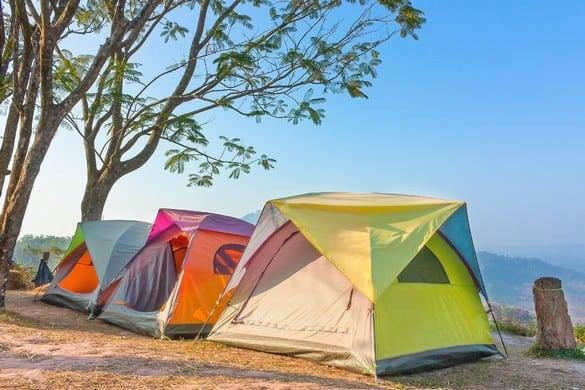 Likewise, 4-Season tents, while perfectly capable of handling warmer conditions, especially with their relatively spacious interiors, can end up a little stuffy if it’s too warm outside. While 3+ hybrids are available, if you want to camp predominantly at a specific time of year, we recommend choosing either a 3 Season or 4 Season tent to suit your climate. 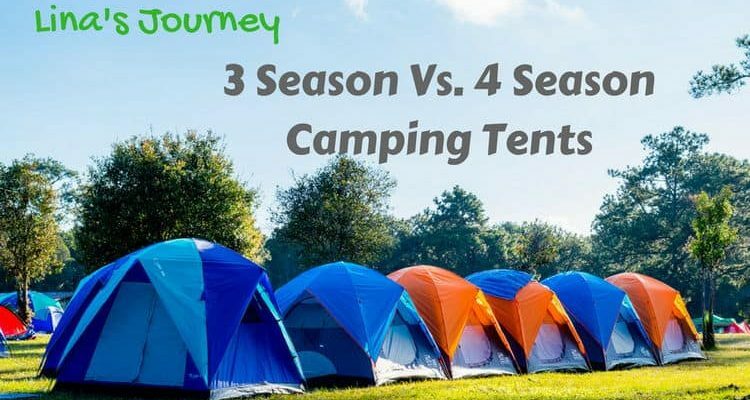 3-Season vs 4-Season Tent: What things do you need to know?